Want some awesome Michael Schenker licks? Then check out this one! Michael Schenker mainly uses pentatonic and blues scales for his rock guitar licks and this one is no exception. 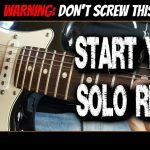 It’s coming from the F# blues scale and is typical of many Michael Schenker licks which you can borrow and use in your own rock and metal solos. 0:44 Let’s hear the lick played slower now. Notice the use of common unison bends and pentatonic scale patterns. 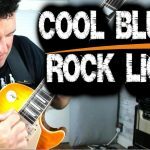 Take these rock lick ‘building blocks’ and use them to make up your own rock guitar licks. 1:02 Let’s break this Michael Schenker lick down now and look at how to play it one note at a time. These blues scale moves and ideas are found in many of Michael Schenker’s favourite licks..
3:05 Hear the lick played slowly again here. 3:25 Let’s have another listen to the whole lick played fast again over the backing track. Remember that this is just the start! Use the ideas here to come up with rock guitar licks of your own. This is essential for developing your own style. and voacabulary…just like Michael Schenker has!